Contact Citimedia for further information on our services including website design and website marketing. Kevin and Susan Burge would welcome your enquiry regarding any of the services offered on this website, including website design and website marketing. Maybe you are interested in domain names available for rent or partnering with us to develop domain names into websites. It doesn't matter where in the UK your business is located. We are very happy to travel, and the nature of our online service enables us to work with businesses anywhere in the UK. Kevin and Susan Burge could get your business online with a simple, effective website starting from just £120. Our initial advice is always free-of-charge and strictly without obligation. We are both very passionate about what we are doing and look forward to working with you. Please complete the contact form below, and we will respond to your enquiry as soon as we can. On 'sending' your enquiry using the email form above, you will automatically be redirected to the Citimedia homepage. If you prefer to speak to us on the telephone, Kevin and Susan Burge can be contacted at the office on (01452) 290080. Sometimes your call will go to answerphone, but please don't hang-up! Leave a message and we will return your call as soon possible. Starting a new Letting Agency? A big thank you to Kevin Burge at Citimedia in Cheltenham. He has done an amazing job on my website. I am very pleased. Over 85% of our work is generated online. Citimedia have been instrumental in getting our website seen by new potential customers. It doesn't matter where in the UK your business is located. 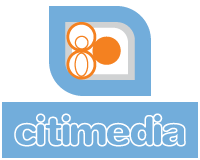 Citimedia can work with you to attract more visitors to your website. Our new 'Gloucestershire cardboard box' website is helping to sell even more cardboard moving boxes and packing materials to local customers.